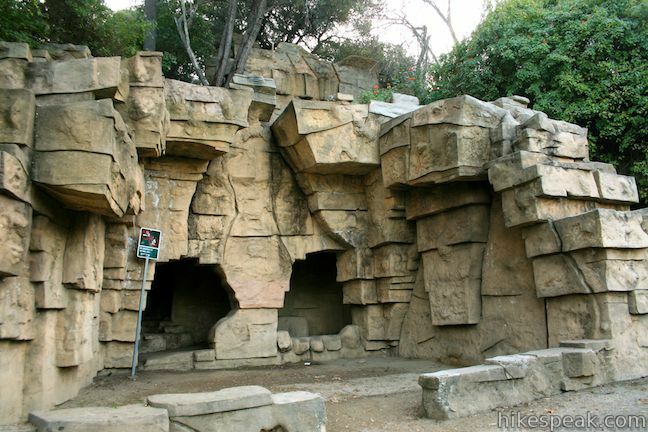 Bee Rock is a unique hive-shaped outcropping towering over the east side of Griffith Park. From the top of the rock, you have a commanding view over the park and the city beyond. 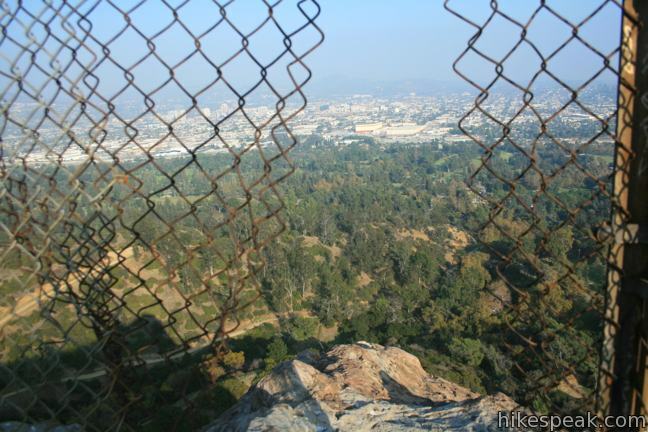 The observation area atop Bee Rock is surrounded by a tall chain-link fence, protecting visitors from the steep drop-offs on all sides, while meshing up the panoramic views. The shortest route to the top climbs 525 feet in less than a mile. 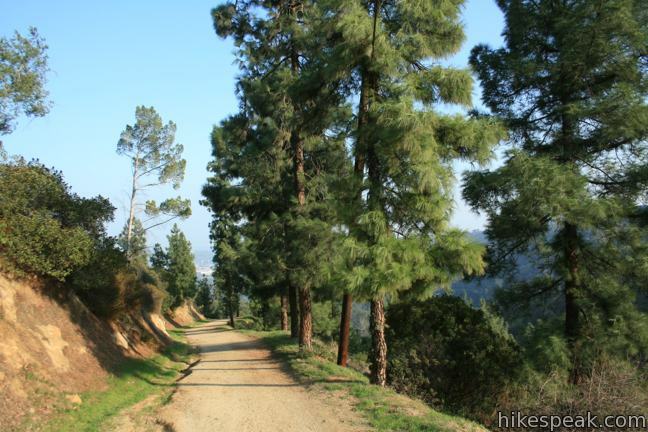 Bill Eckert Trail provides a more gradual ascent and can be used in combination to form a 2.6-mile loop with 600 feet of elevation change. 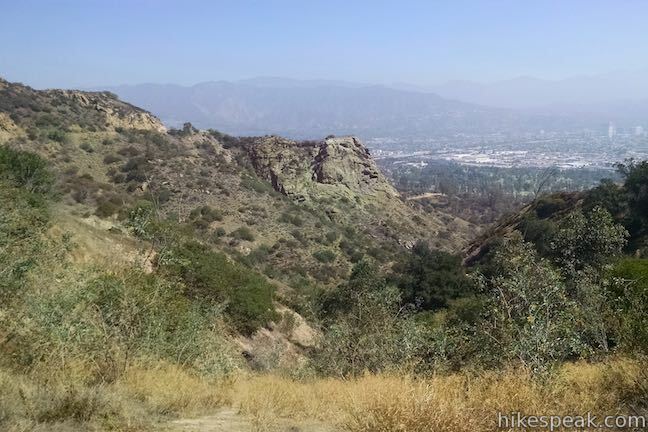 This hike may also be extended with two miles of trails around the Old Griffith Park Zoo, an interesting addition for a 4-mile hike to Bee Rock. Start at the merry-go-round parking lot and walk uphill past the barricade, following the paved road as it curves to the right past three wide dirt trails on the left. Take the third fire road, Fern Canyon Trail, just before a second line of barricades. 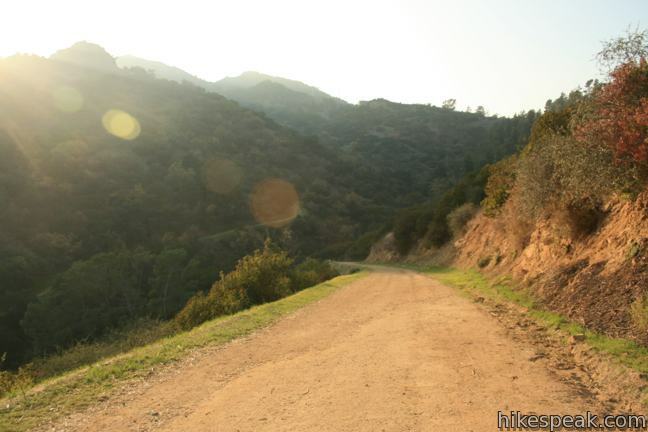 The fire road passes through two junctions in the first tenth of a mile with trails breaking off to the right. 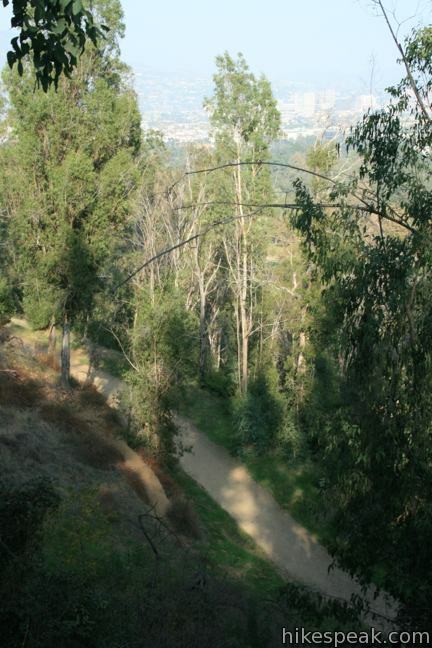 The first trail takes a level route to the Old Griffith Park Zoo. The zoo has been converted into the coolest picnic area in LA, where you can sit at tables inside old animal pens (more on that later). 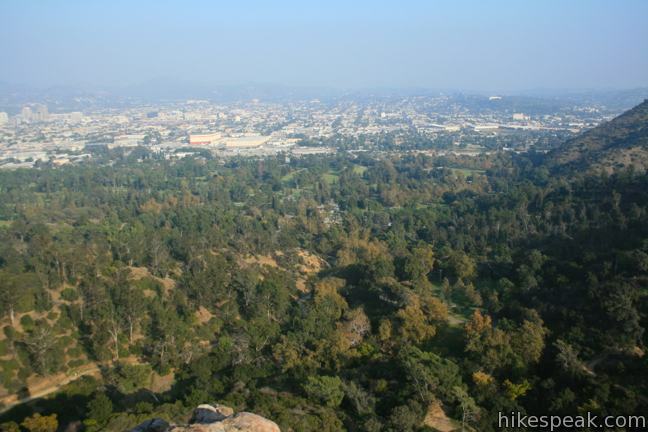 The second right is Old Zoo Trail, which climbs slightly higher through a eucalyptus forest to present the hike’s best head-on views of Bee Rock. 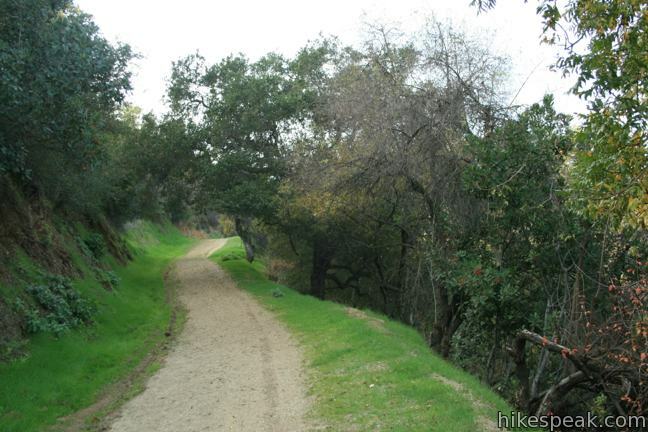 Start your trek with this upper trail and return on the trail through the picnic area. 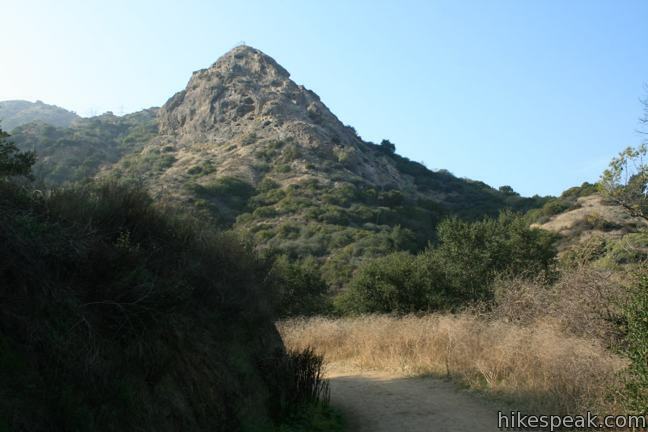 If you continued straight on Fern Canyon Trail, you would reach Beacon Hill. 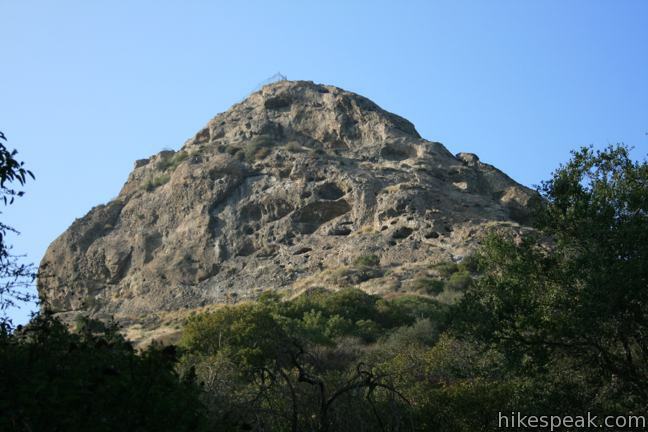 Old Zoo Trail climbs 150 feet to deliver a clear perspective of Bee Rock, a pitted pinnacle of exposed rock. Drop across Spring Canyon after 2/3 of a mile over a small stream shaded by oaks and sycamores. Continue another 0.2 miles to a junction with Bee Rock Trail, which is practically a 5-way junction. 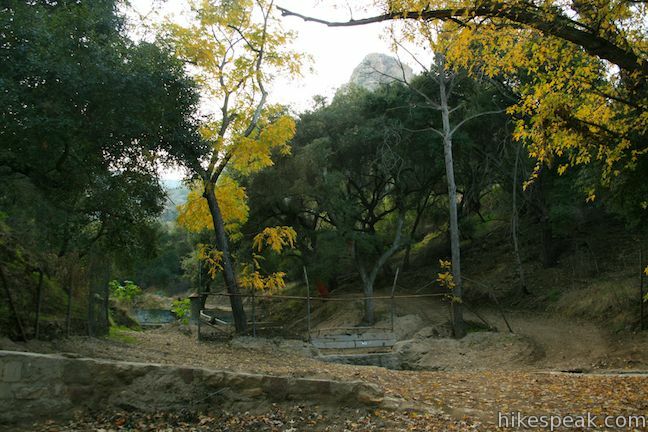 To the left, the wide Bee Rock Trail ascends up the mountain on the left side of a shallow ravine with old concrete retaining walls. 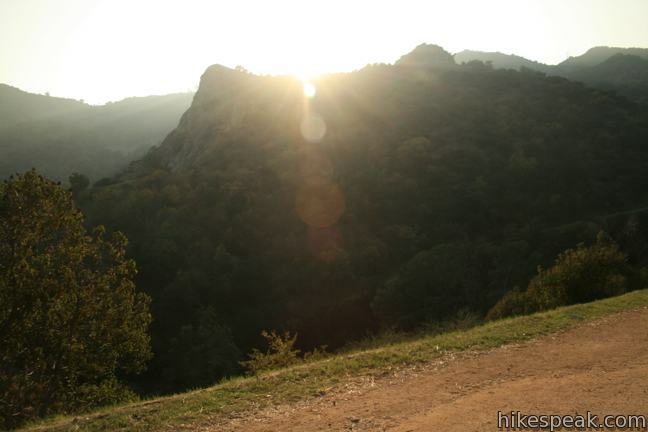 This is the quickest route to the top of Bee Rock, climbing 475 feet in just over half a mile. 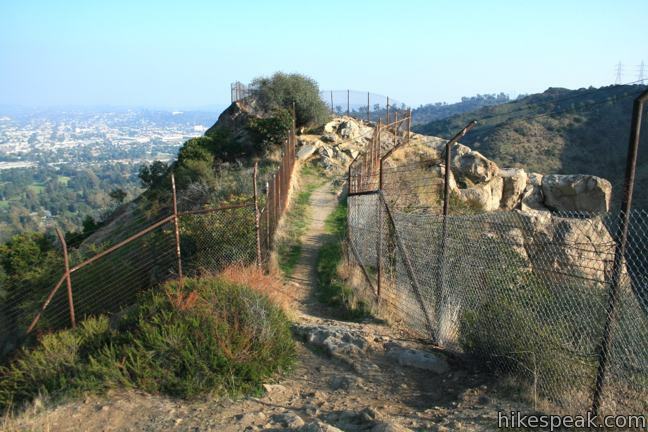 There is a tall fence to the right side of the junction (below Bee Rock Trail). 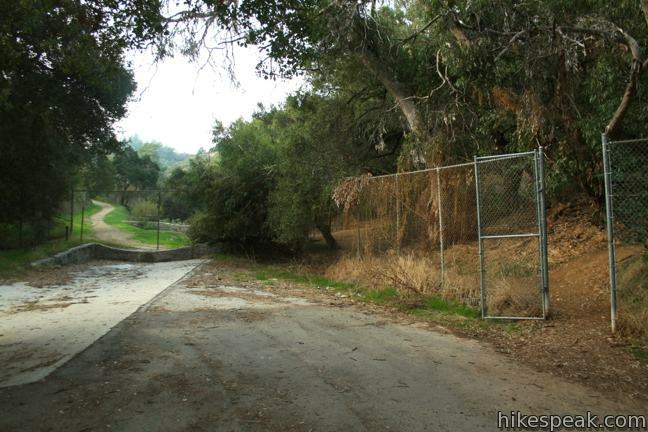 An open gate in the fence should allow access to Old Zoo Picnic Area, which will be important at the end of the hike. 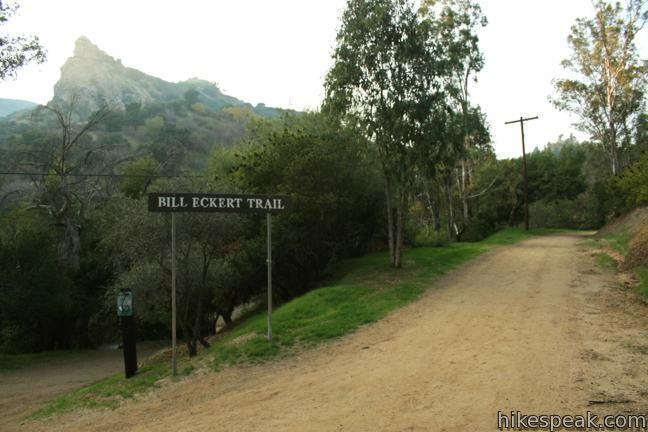 Twenty steps past Bee Rock Trail is Bill Eckert Trail. Turn left up this trail for the more gradual route to Bee Rook. Straight ahead Mineral Wells Trail continues to a nearby trailhead. 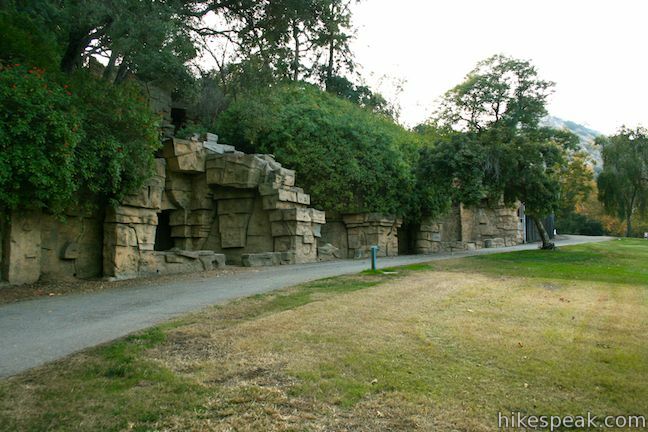 Skip all that stuff about the incredible old zoo and head-on views of Bee Rock, and begin from the Mineral Wells Trailhead along Griffith Park Drive. From the trailhead, Mineral Wells Trail splits off in two direction. Follow the trail to the left, which initially parallels the road before tuning to the right into the canyon above Old Zoo Picnic Area. 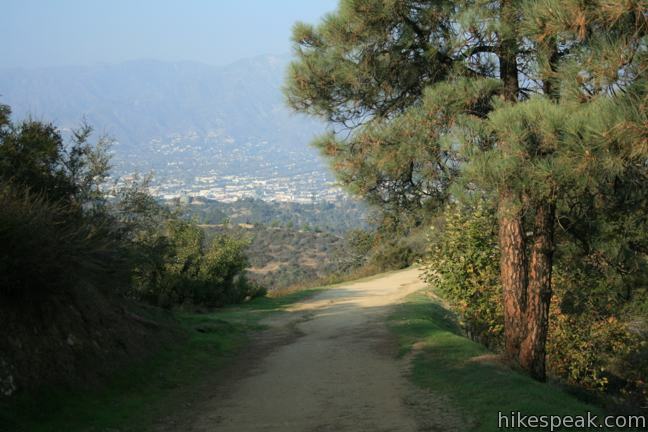 You will reach the bottom of Bill Eckert Trail after just a quarter mile. Turn right here for the gradual ascent, or proceed a few paces to Bee Rock Trail for more of a challenge. 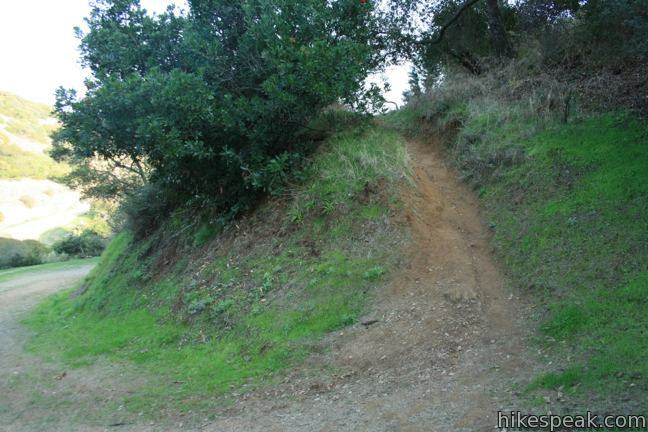 Those who want it short and steep should take the trail up the ravine just west of Bill Eckert Trail. 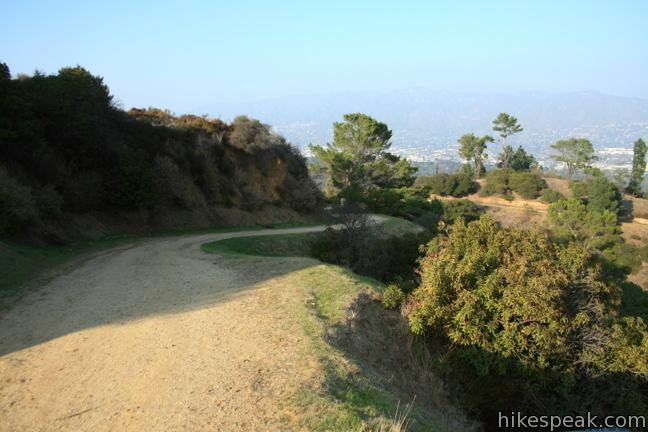 Less than a quarter mile up, the wide trail comes to an abrupt end and a single track continues to the left. This is the way. Make sure your boots are on tight and continue to climb. 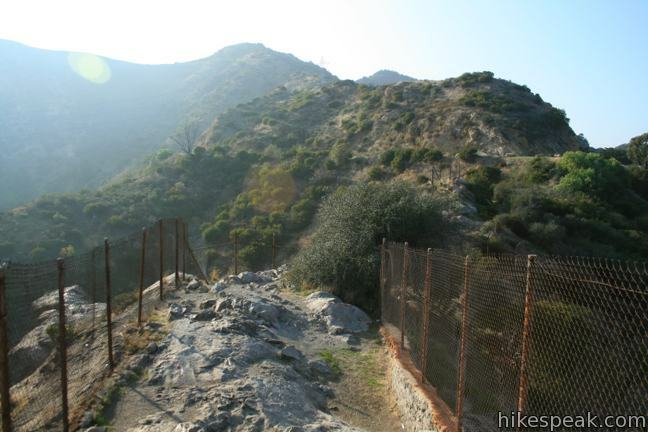 Push through dense vegetation on the mountainside, turning right and then left through two splits to stay on the main trail to Bee Rock.After 1/3 of a mile, the single track turns to the right bringing you up a series of concrete steps to the fence above Bee Rock. Turn left and take the path down to overlook atop Bee Rock. The wide fire road takes a gradual course up a ridge adjacent to Bee Rock. 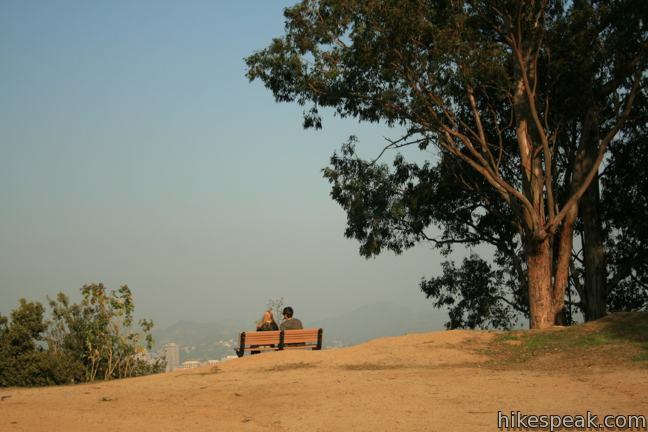 If the ascent manages to tire you out, have a rest on the bench beneath the eucalyptus trees 1/3 of a mile up the trail. 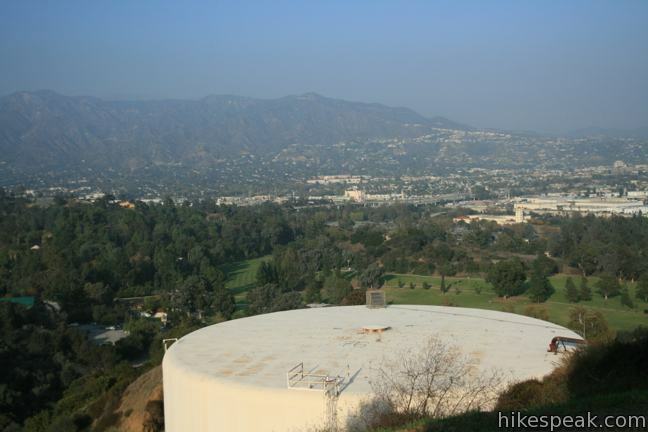 Enjoy a view over Glendale and Griffith Park’s Harding and Wilson Golf Courses as the trail circles around the skirt of the ridge past two holding tanks. The fire road climbs the north side of the ridge, passing through a sudden row of out-of-place pines. 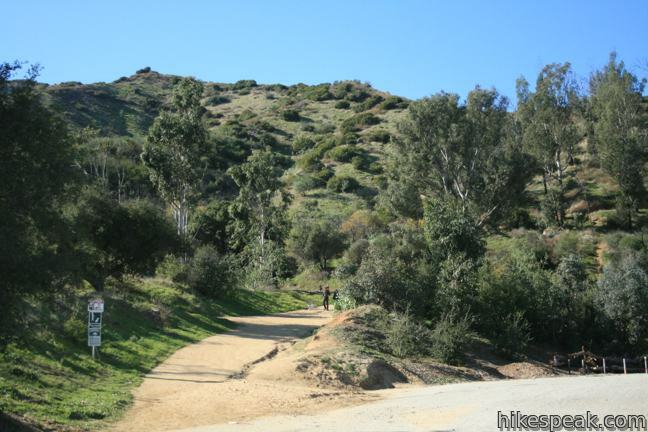 At the top of this 1.25-mile long trail, and just past a green holding tank with the number 113 on it, turn left on a paved service road, Vista Del Valle Drive. 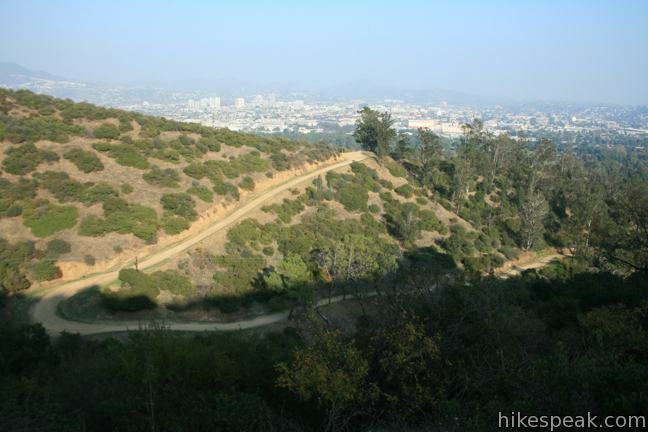 For those hiking the loop in the opposite direction, There is a #14 marker at the top of Bill Eckert Trail. 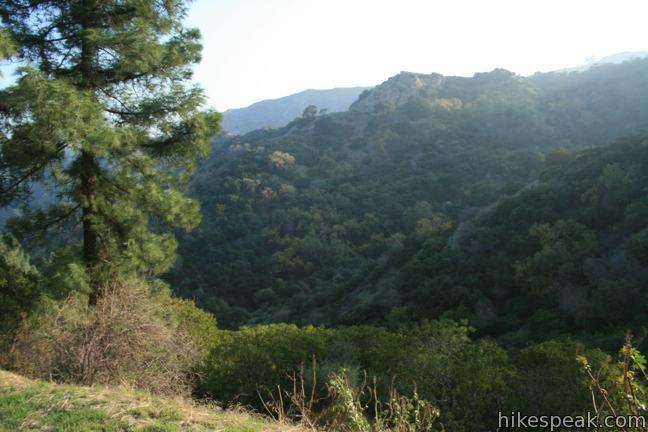 Walk a quarter mile south on Vista Del Valle Drive, climbing to a max elevation of 1,125 feet before descending to the turnoff for Bee Rock. 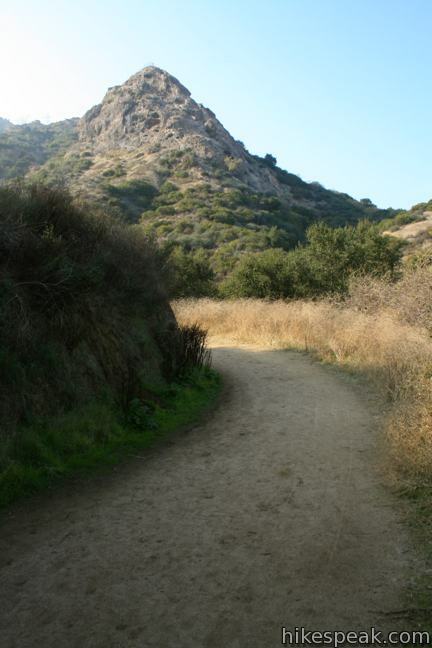 The path down to Bee Rock comes on the left on the outside of a large bend. 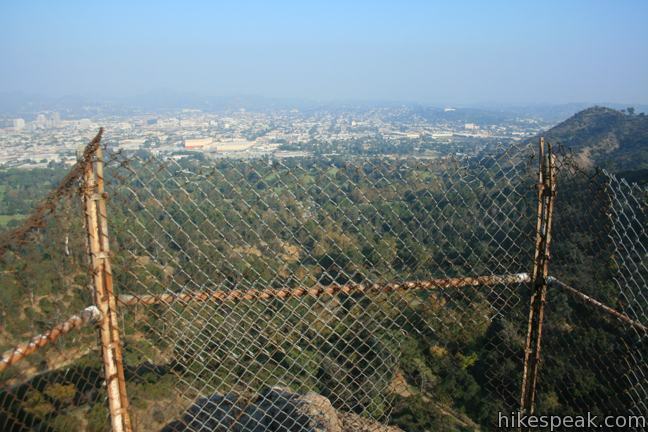 Look for the fence-enclosed point, which is visible from the road. 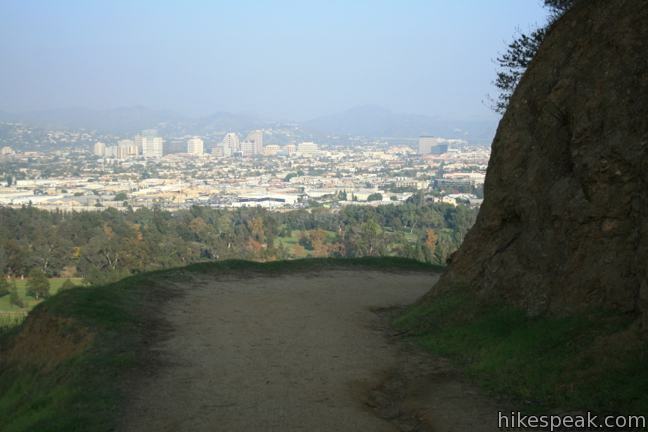 The 1,050-foot Bee Rock delivers broad views over the east side of Griffith Park and the city beyond. 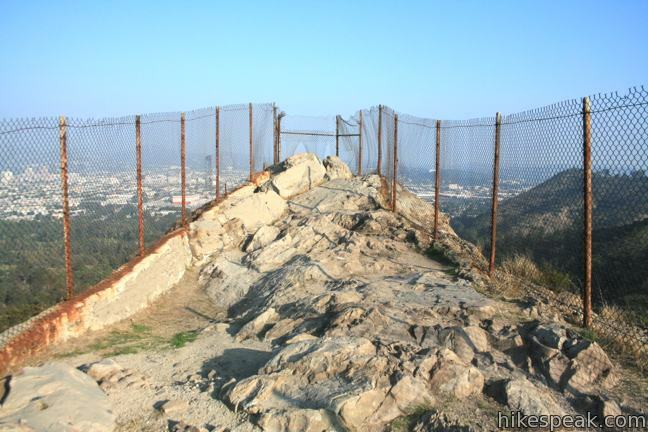 Dramatic drops on all sides are the cause for the heavy fence, which diminish the views in order to keep hikers safe. 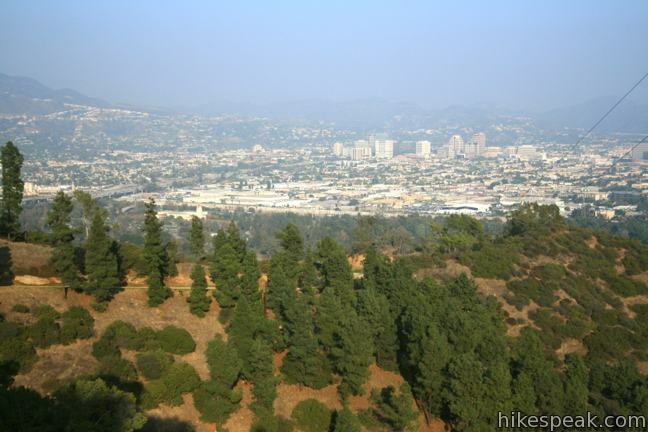 This is still a fine perspective over Glendale, with views of the San Gabriel Mountains to the north and east. 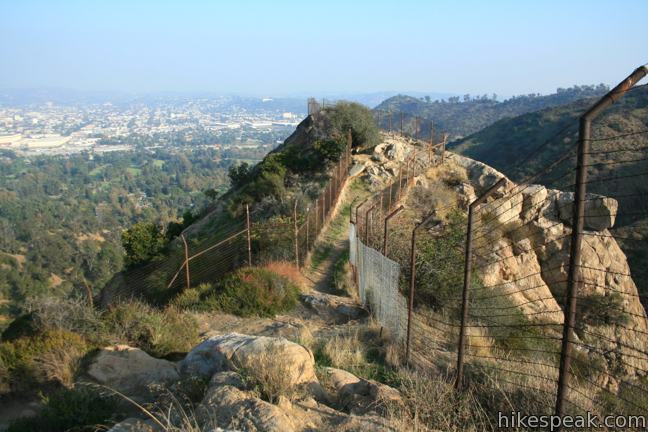 When you are through with the view, hike 0.05 miles back along the fence until you come to a trail on the right descending a short flight of concrete steps. Follow Bee Rock Trail down the mountain to the top of Old Zoo Picnic Area. Those who optioned for the shorter hike should turn left, pass Bill Eckert Trail and return to the Mineral Wells Trailhead, completing a 0.85 mile descent from Bee Rock. 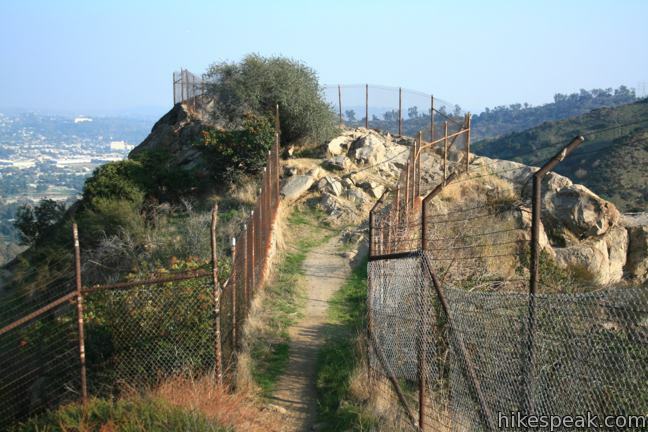 Hikers on the four-mile mission should slip through the gate in the fence at the bottom of Bee Rock Trail into Old Zoo Picnic Area. 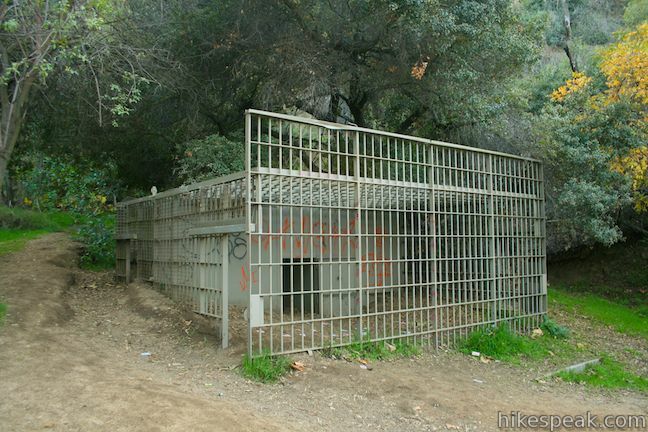 Make an immediate right on the paved road curving around the canyon past a few animal cages. 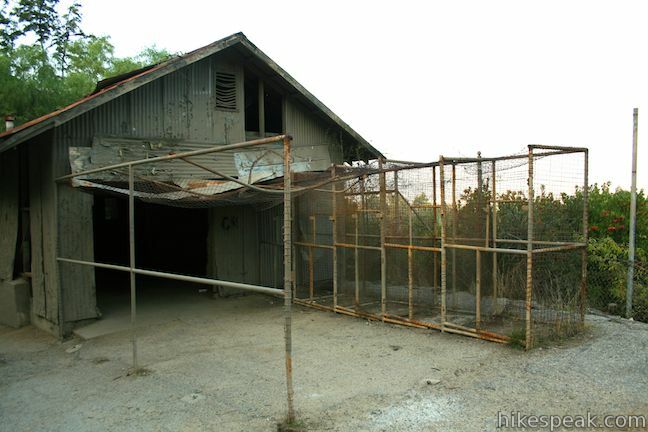 The Old Griffith Park Zoo operated from 1912 to 1965. Rather than being torn down, the zoo was converted into a picnic area when the new zoo was built up the road. 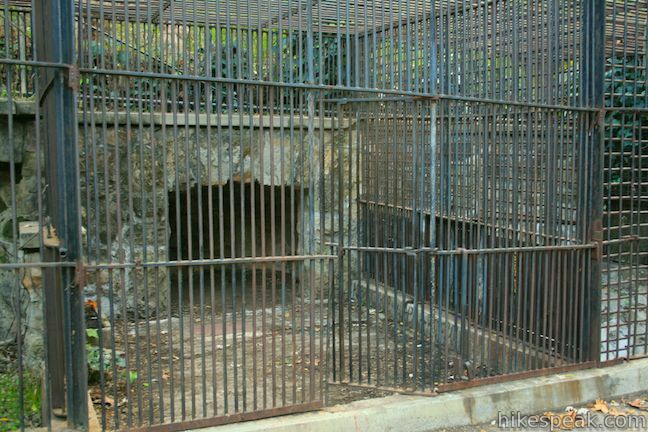 These cramped animal cages were built in the 1930s and illustrate how the treatment of animals at zoos has changed over the ages. A large field on the left offers ample room to run around after a picnic. 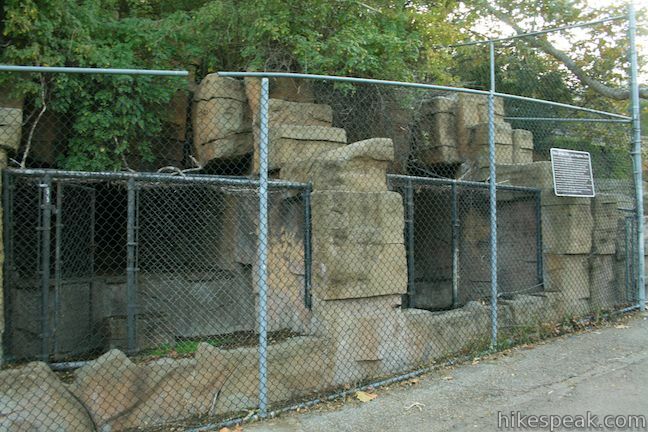 The main attraction of the old zoo is a row of stone-enclosed pens. You can step right inside the holding areas where animals were put on display. The lowest pen has tables arranged inside. What a place for a picnic! 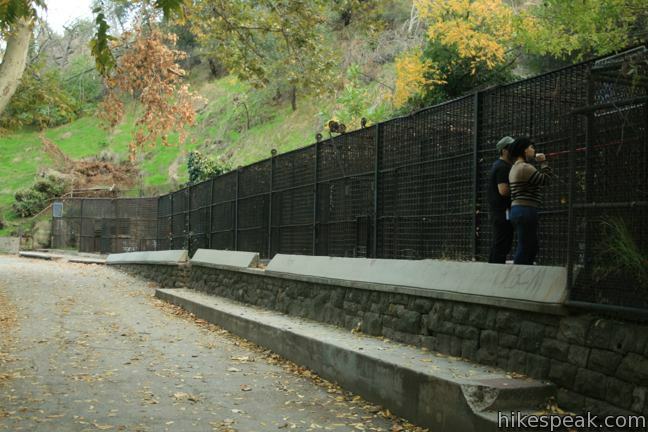 Above the row of stone enclosures is the road back to the merry-go-round trailhead. 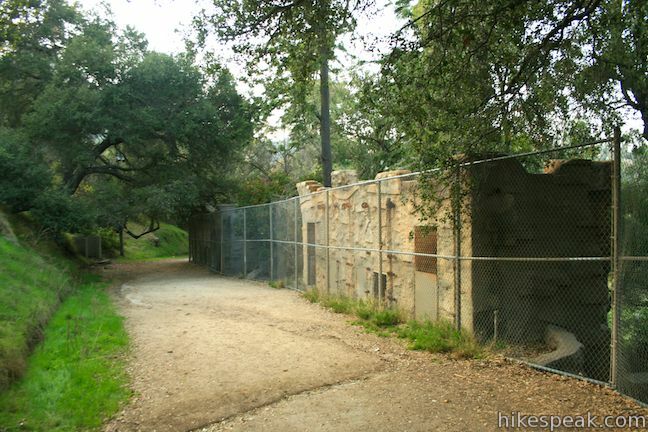 Walk behind the stone pens and past a couple more old building as the road becomes unpaved and continues a quarter-mile through a eucalyptus forest for an easy walk back. 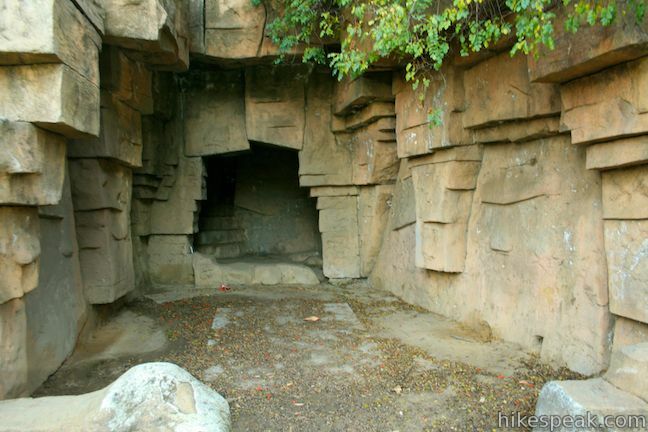 No fee or permit is required for this fun hike through the old zoo to grand views on Bee Rock. 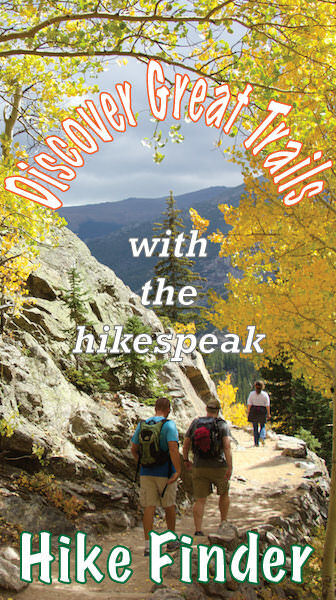 Dogs are welcome on leash, though they may struggle on the steep trail. 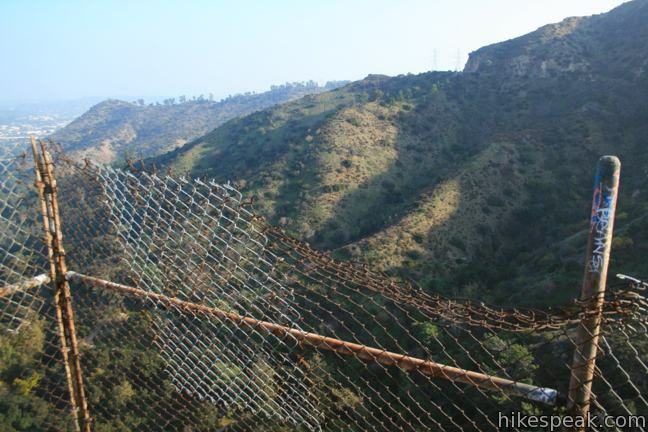 Bikers are asked to buzz off, but hikers should make a point to bee there! 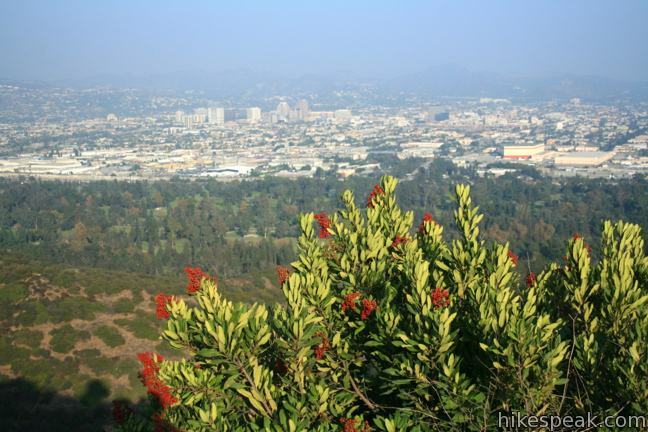 To get to Merry-go-round Trailhead: Take the 5 Freeway to the Los Feliz Boulevard exit. Drive west on Los Feliz Blvd. to the first light and turn north on Crystal Springs Road. Drive north for 1.3 miles and turn left at the intersection following signs for the merry-go-round. Drive up the hill for a quarter mile and turn right at the barricade in the road into the parking lot. 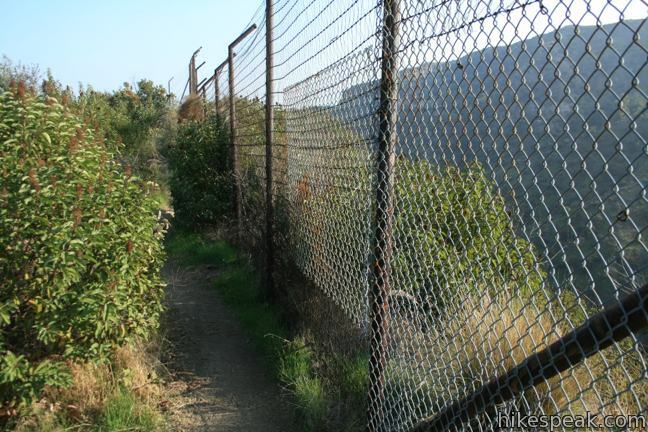 Begin hiking up the barricaded road, which curves to the right toward Fern Canyon. 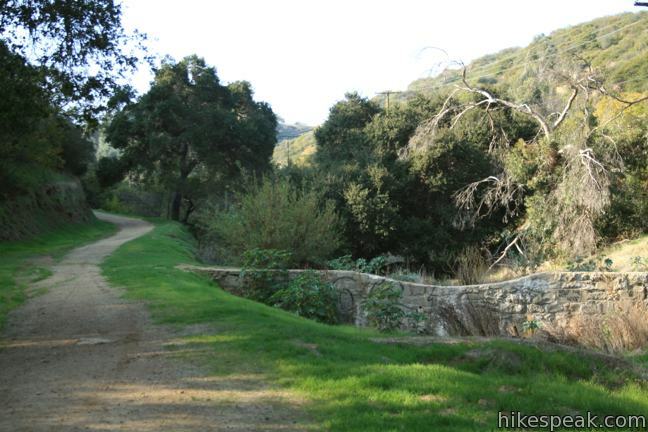 To get to Mineral Wells Trailhead: Take the 5 Freeway to the Los Feliz Boulevard exit. 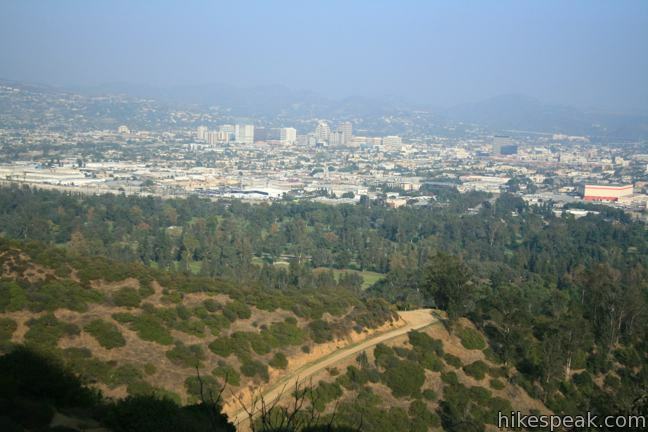 Drive west on Los Feliz Blvd to the first light and turn north on Crystal Springs Road. 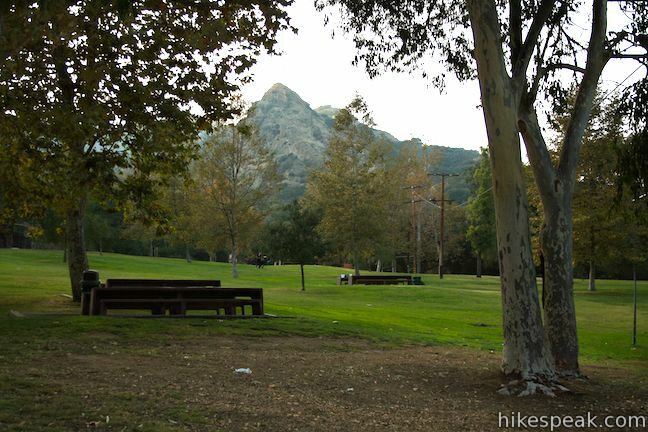 Drive north for 1.5 miles and turn left on Griffith Park Drive. 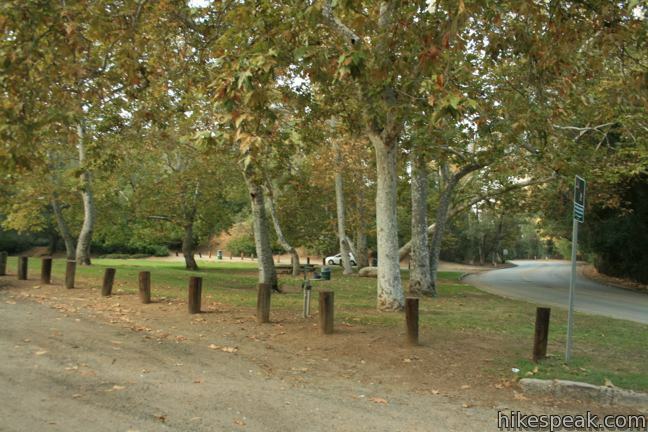 Continue a third of a mile to a parking area for Mineral Wells Trailhead beneath the sycamores on the left. The trail begins from the south end of the lot. These photos were taken in November of 2011. Click to enlarge. 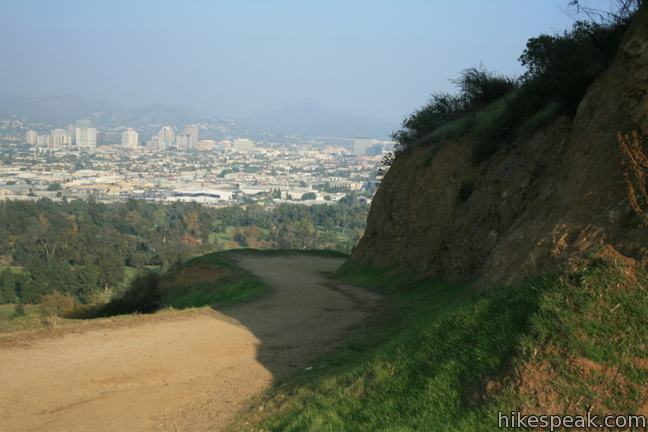 Awesome hike. There is a hole in the fence at the edge of the rock. If you go there with your pet make sure they are leashed!